What actually makes a network a network? If it’s a network, you can draw it. 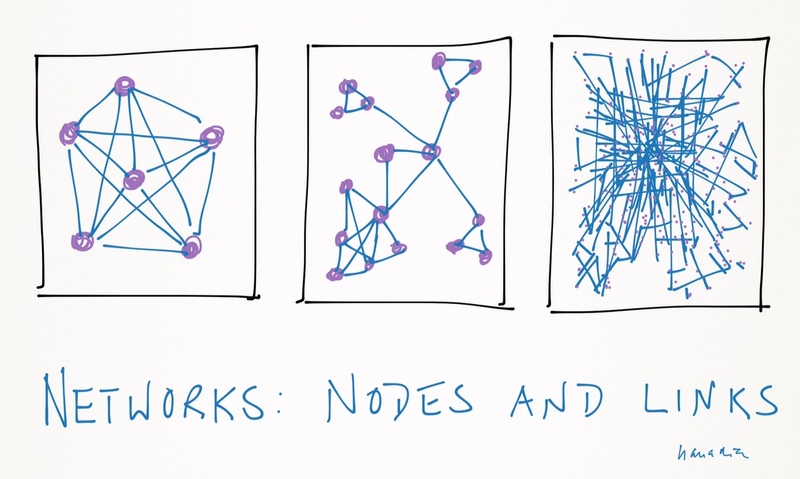 A network’s basic structure is made of nodes (people, organisations) and links or ties (relationships, interaction). By understanding the basic network principle of nodes and links we see the social, dynamic and flexible fabric a network is made of. And we also understand why networks are great for sharing and learning. Networks are conversation. Draw your network and discover what your network is made of. Who is your network and who is driving it? – A short guideline to assess your network structure.